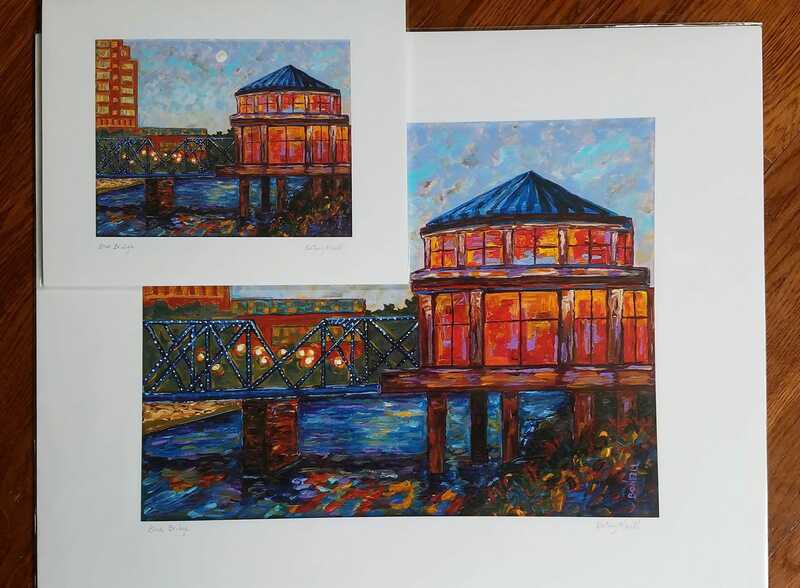 This is a giclee print of the Blue Bridge over the Grand River with Grand Rapids Public Museum Carousel lit at night. The moon is out and you can hear music and laughter. 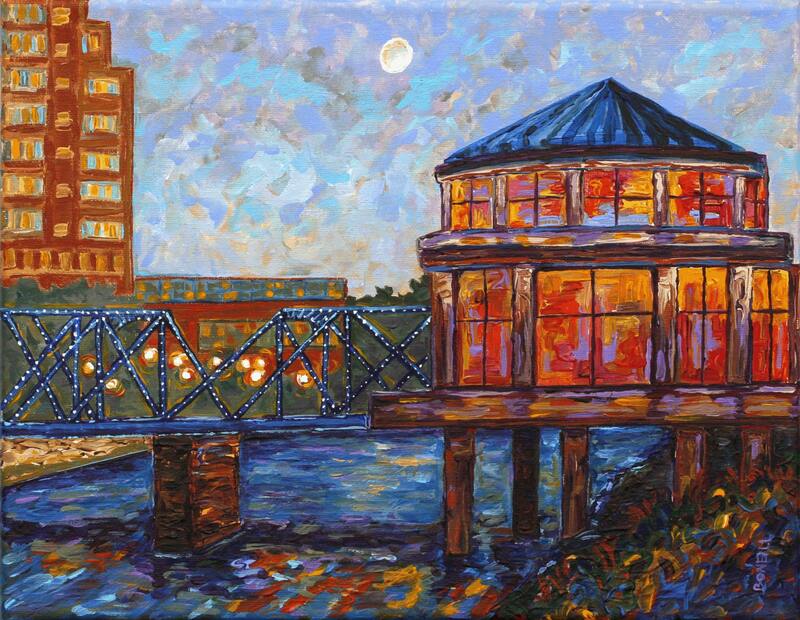 It's great to be in the city of Grand Rapids!